Improve your printing experience with the HP DesignJet T930, a front-loading printer with output stacking tray that helps organize and protect your prints and offers professional results. 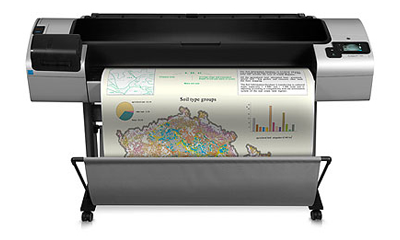 Available in a 36″ model, this single-roll printer allows you to access and print projects while out of the office, with HP DesignJet ePrint & Share. This machine comes with 32GB of virtual memory and can produce D-sized documents in 21 seconds. Check out this newly designed, web-connected ePrinter that offers breakthrough usability. 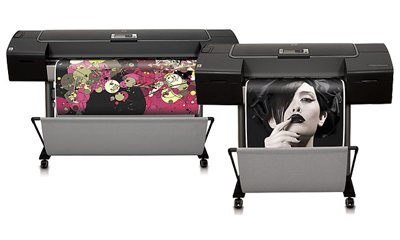 The HP DesignJet T1530 is a two-roll, front-loading printer with output stacking tray that helps organize your prints. This 36″ printer allows you to use your iPad or Android devices to print from virtually anywhere, with HP DesignJet ePrint & Share. This machine comes with 32GB of virtual memory, a 320GB on-board hard drive, and can produce D-sized documents in 21 seconds. With the HP DesignJet T520 Printer, you’ll achieve sharp, true-color prints of your designs, maps, photos, and presentations at resolutions up to 2400 dpi. Web/Wi-Fi connectivity means you can place the printer where it’s most convenient. This entry-level wide-format printer allows you to use your Apple® or Android™ smartphone or tablet to print from virtually anywhere. 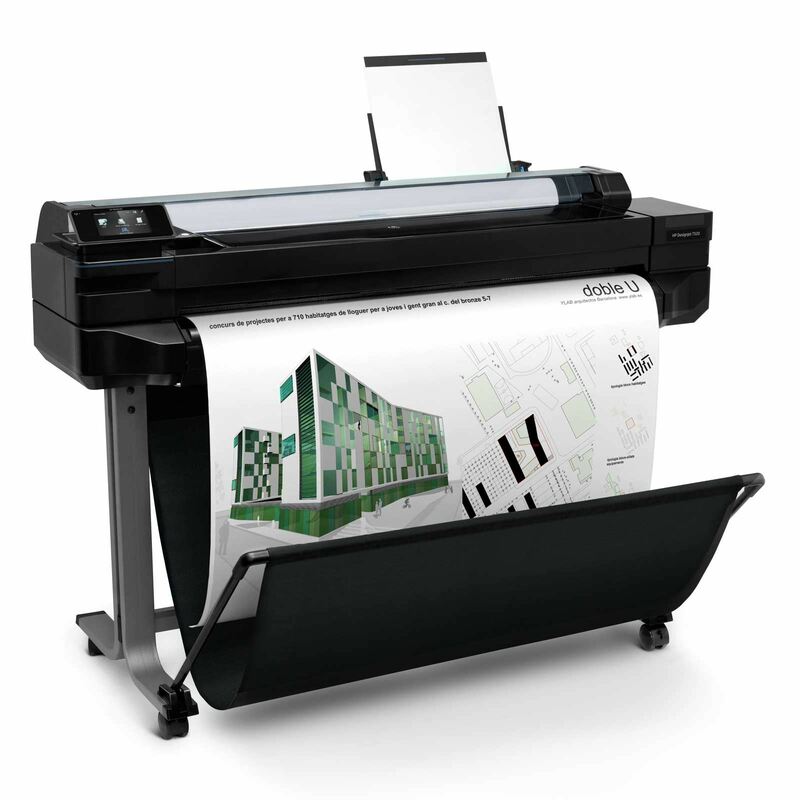 This machine has the smallest footprint in the DesignJet family, making it perfect for offices with space restraints. 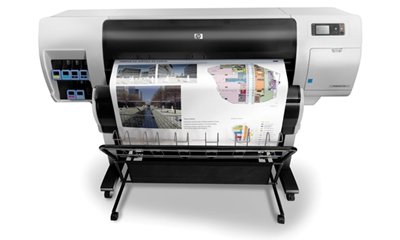 Now you can improve your workflow with the HP DesignJet T2530ps. 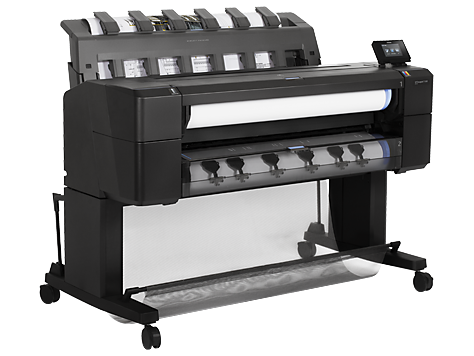 You can switch between two rolls with this front-loading multifunction ePrinter that comes with PostScript. Easily scan, plot and copy, and rely on powerful processing to print even from mobile devices. This machine comes with 32GB of virtual memory, a 320GB on-board hard drive, and a fully functional color scanner that gives you amazing clarity and resolution, whether scanning to a USB drive or a shared network drive. 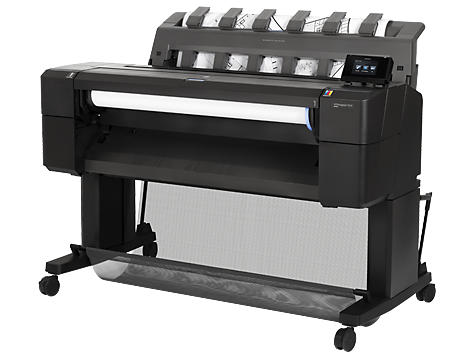 This 12-ink HP DesignJet, with new HP 73 Chromatic Red archival ink, delivers long-lasting gallery-quality prints in black and white and color. It enables easy calibration and profiling with its embedded spectrophotometer and also delivers great ink efficiency. The Z3200 comes in 24″ and 44″ models, and includes 256 MB RAM, an 80 GB hard drive, and delivers spectacular quality for a economical price. Are you ready for the first multi-roll ePrinter for graphics that can produce durable prints. 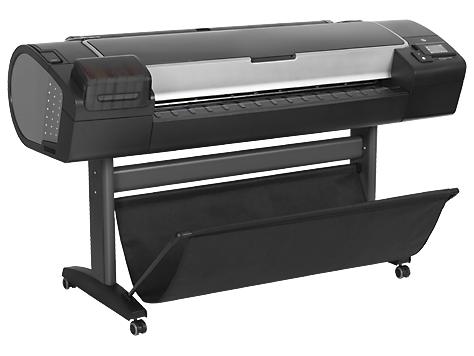 Introducing the HP DesignJet Z5400. Speed up your workflow with two rolls and smart switching. 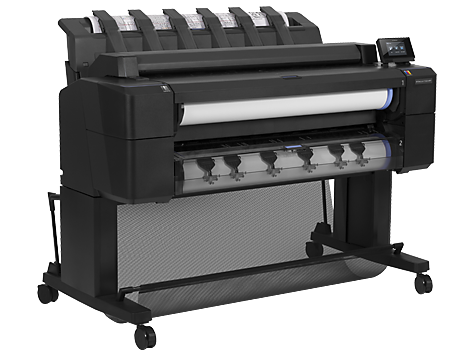 Cut your turnaround times and deliver high-quality prints with this 6-color machine, that comes with a 320GB on-board hard drive, 64 GB of virtual memory and Adobe PostScript. These 42″ production-strength HP printers combine low-cost mono printing with quality color to deliver a breakthrough machine. Replace your mono LED and aging color printer with one HP device that prints at a lightning speed of 1,320 square feet per hour, and delivers 163 D-sized prints in that time frame. This 2-roll machine comes standard with a 160 GB hard drive, 32 GB virtual memory, bulk ink tanks, and gigabit ethernet. HP makes it easy to print and share with this—the first large-format 44″ ePrinter designed for workgroups. Collaborate and print on the go with the T1300. Take advantage of features that boost productivity, such as a robust 160 GB hard drive, 32 GB virtual memory, 2400 x 1200 optimized DPI, gigabit ethernet card and 2-roll capabilities. And save time with tools that ease the printing process.